I can honestly say that 2010 has been the most rewarding, thrilling, consistently happy year of my life. I am so blessed. If 2011 is even half as good as 2010, I am the luckiest gal in the land. Thank you to my dear friends and family and to my love Tyler for being such an amazing support team. What a year we had sweet love! Tyler just informed me on the phone this morning that 2011 is the year of the rabbit!! Can you believe it? If you recall our engagement story you'll understand why this is so terribly amazing. The year of the rabbit!!! Ha! The Coriander Dad just left the building. We spent a good afternoon together on this last day of 2010 in the shop. He showed up with Swiss Chalet while my friend Karen and Maisy were visiting so we all had a nip of that fabulous crack chicken. He drove off with his newest cd blaring Johnny Cash as loud as it would go, compliments of Tyler. Love you Diddy. I'm not so much a fan of resolutions as I am of goal setting so here it is, my little list. 18. don't forget to do memory strengthening exercises. Happy New year to all of you my dears. May 2011 be your happiest and healthiest year yet! I love this picture from September 2010. The day we got the keys and headed up the stairs to our first home. Wishing you and your loved ones a happy and healthy holiday season! Coriander Girl will re-open on Wednesday the 29th after some much needed r+r and maybe a healthy dose of t+s, that's tea and shortbread! I'm gonna stay in bed or on the couch all day tomorrow. Who's with me!? Bed/couch days rule! 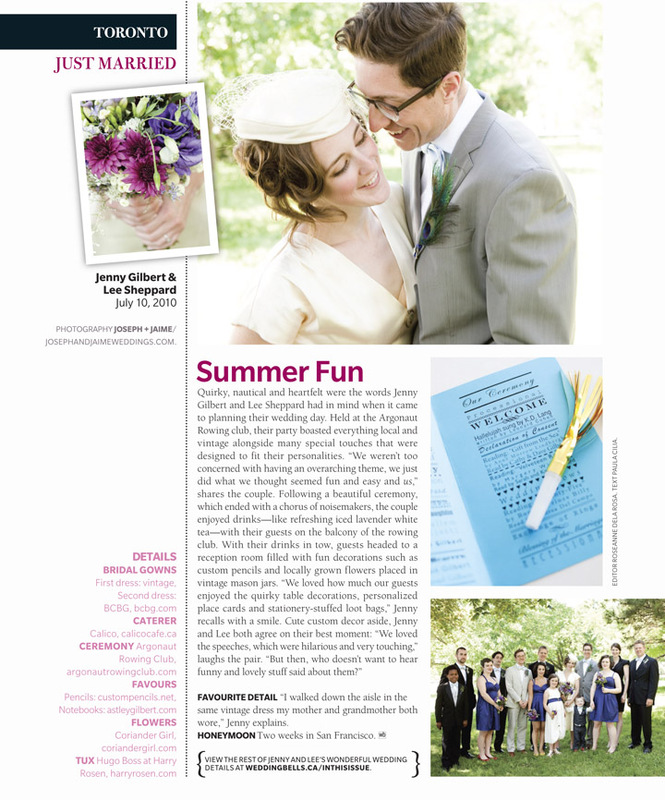 I thought I'd be in a bikini but instead my flowers have their very first centre fold in the very prestigious Toronto Life Wedding Guide! Coriander Girl is hangin' with some pretty big guns in this issue! 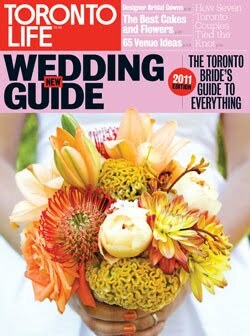 Thank you to the amazing people at Toronto Life for including me in this super awesome floral spread. I am not at all capable of remaining composed with things like this. I let out a rather high pitched squeal tonight in Chapters and looked over to find five people grimacing over my delight, clearly they had been standing in lineups for far too long this evening. Well, I think there needs to be a serious dance party in the shop tomorrow people(Wednesday) if anyone feels like celebrating get your butts down here! Thanks for your endless support dear hearts. Even when you're tired and there is no time because you have to pack and head back to Toronto to tend to your fledgling baby bird of a business, sometimes you've gotta stop and buy a Christmas tree from the local garden centre to surprise your love when he arrives home from a long days work. I have a shop mouse. I've decided to call him Sir Fig Newton because I think that's what I found him eating in the rubbish bin this morning. And, well, since he's here beside me, WE are very pleased to bring you Coriander Girl's gift guide. We went around the shop today taking pictures of things we think you and your loved ones should have this holiday season, okay that's not true he sat in a coffee cup while I did all the work but he does have this to say, "Listen here humans, anyone can go to big box stores and buy lots of super fun stuff but you aren't supporting local shops like this one that need your dollars to stay alive." Pretty profound for a baby rodent wouldn't you say? Am I using Sir Fig as a cheap ploy to get you to shop at my store...most definitely. There he is the little doodle. And yes those are his arms splayed out like he's yelling, "stop, don't shoot!" Ah-mazing. Honey Pie Hives and Herbals $12.50 gift bag! 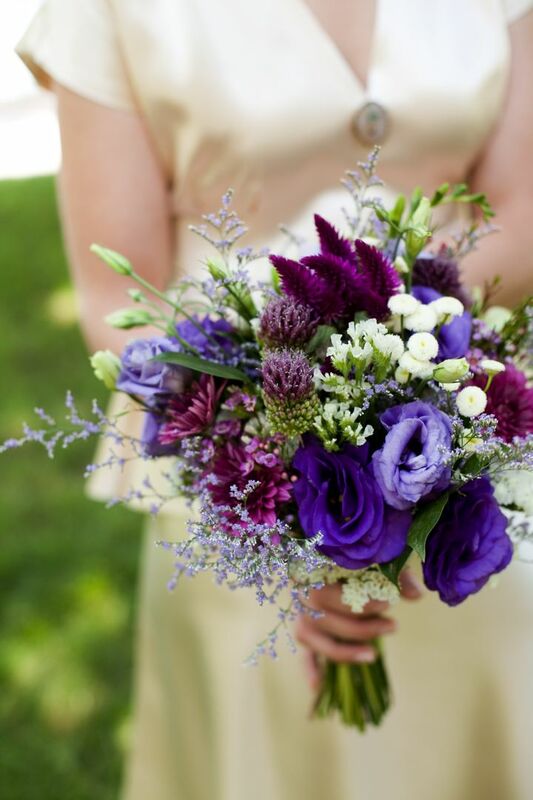 A $25 bouquet is always a hit! Bring in a vase and I'll fill it for you! Other gifts to consider, Coriander Girl gift certificates, Erin Candela cards and botanical prints, Shira Leuchter letterpress Christmas cards, framed pressed flowers starting at $60 and Ella's Botanicals lotions and soaps. So come on down, Sir Fig Newton and I implore you. Okay no, he's still not really participating but rather having a good go at a wheat thin I tossed in recently. My endless gratitude goes out to the lovely women of Weddingbells magazine for including me in this phenomenal Spring + Summer issue for 2011. 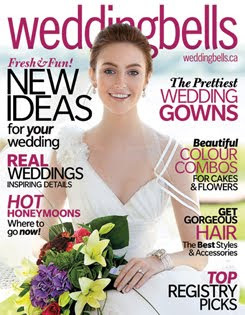 A special thank you to Roseanne Dela Rosa~associate editor, Stephanie Gray~online editor and Alison McGill~Weddingbells magazine Editor-In-Chief. You ladies rock it. I was delighted to have been asked to take part in this issue but then to see that two weddings that Coriander Girl did flowers for this past summer were also featured in the magazine, well that just took me over the edge! Congratulations to Jenny and Lee, your wedding was absolutely divine, a perfect mix of humour and class just like the two of you! 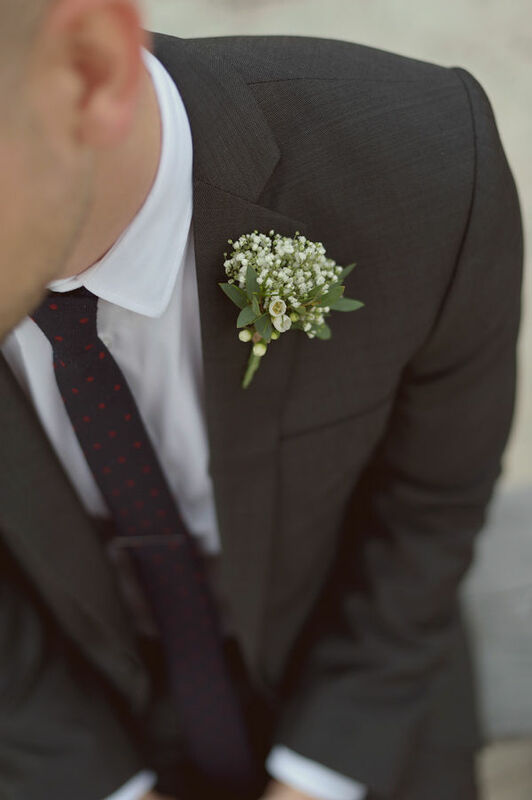 Click here to see more of their lovely wedding pics by the incredible Joseph + Jaime on Weddingbells.ca. And a special congratulations to my friends Shira and Chris for their DIY wedding extravaganza, also hilarious people. How could you look that beautiful Shira and that composed after doing so many things yourself!? Of course Chris was there to help too but seriously, you guys are amazing. Click here to see their "Groovy kind a love" slideshow. So, it's a celebratory day! Break out the wine and cheese and have a dance for me! 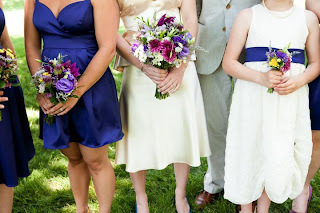 This summer Coriander Girl did bouquets and boutonnieres for the loveliest couple Alex and Lia. When Lia and I met I sort of freaked out when I learned her last name was Parsley, like fate had flung us together. Parsley and Coriander? I know! 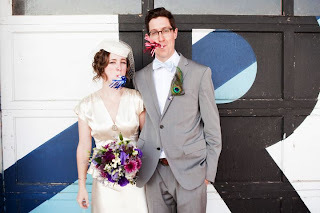 Anyway this beauty just sent me a note with a link to their amazing wedding featured on Style Me Pretty. I am a huge fan of this wedding site, it's an absolute thrill to be a part of this! Congratulations Alex and Lia! Snow storm, cosy blankets, hot tea, almond brittle, a good book and a prolonged hug. All of this makes for a most perfect day. The view this afternoon from our living room. Coriander Girl's 'Best of' The One of a Kind Show! Well hey there folks! So, as promised, I wanted to share with you my One of a Kind finds! Every year I gear up and head down for one heck of an afternoon. Like a soldier, I have a strategy and not much can take me off course accept when a dear friend is working the show and I have to take an alternate route. And just like a soldier, I plan everything. I know where the exits are, washrooms and, of course, the food sampling isles. I don't linger in the centre of the isles I keep to the sides for maximum speed. I layer for comfort as the climate changes through out the day, drafts are expected. I enjoy the christmas show a lot and appreciate their attempts at highlighting new artisans. The only thing I can't stand is that I feel like a dried up little raisin when I leave no matter how much lip balm I've applied. I can't imagine how the vendors feel, they need to pump some serious humidity into that building, or perhaps we should all get a bag of intravenous fluid along with our coat check? Okay, so here it is in no particular order and I have indeed left some great people out, especially the vendors I won't see who are coming midweek. I'm sure your list would be different from mine and that's what makes this fun! Porcelaines Bousquet~I've been collecting Louise's pottery for years and I have an amazing story about that but for another blog entry. What you need to know is that she is now doing incredible things with porcelain and I recommend to brides everywhere registering for these beautiful pieces. Heirloom quality but still affordable...for now. Sweet Truth~I tried this hand made gourmet candy at the show and I almost fell over. I am a candy girl and my expectations are very high. The almond brittle took me a back, like heaven was dancing on my tongue. Bookhou~I just adore these folks and everything they do. The Philosopher's Stone~Well, I carry these amazing decorative glacier stones in the shop because I'm such a fan. Each one is different and they make a perfect flower vessel. Freshly Printed~These gals are amazing and I hope to carry their amazing textiles soon! They focus on using environmentally conscience materials and production methods which fits perfectly with Coriander Girls mission statement. Often using nostalgic imagery on their textiles and just another reason Coriander Girl loves them! The Saltbox shoppe~Okay, these guys are right up my ally with their decorative rustic pieces for the home. I bought a ton of reclaimed wood framed pressed flowers and I'm just smitten. Honey Pie Hives and Herbals~Another Coriander Girl vendor and don't we love these two? Bay and Gavin are busy little bees(pun intended) making incredible soaps, candles, honey, skin care, and teas. If you haven't tried their honey yet, come on down and get in line because these products won't stay on the shelf. pi'lo~The sweetest home decor pieces that make me want to have a baby and a potential new vendor for Coriander Girl! Tresnormale~Awesome t-shirts from Montreal. Every year I buy Tyler a bunch until the next show rolls around. Miranda Britton~I love this jewelry, it's timeless and nature inspired. You can easily wear it out to your favourite coffee shop or put on that party dress and light up the town. Don't we love our versatile jewelry the best? Schoolyard~Another amazing vendor of mine. As far as I'm concerned every single thing these girls touch turns to gold. Aprons, napkins, paper goods. Just brilliant and oh so environmentally conscious. Christie Greyerbiehl. This woman is lovely and her art is even lovelier! Christie's work truly is 'one of a kind' and she should definitely be on your radar as one to watch. This local girl is doing great things and her light boxes of beauty would be an incredible addition to any home. Make sure to visit her website. Congratulations on a really beautiful booth Christie! The amazing ladies of LoRo(lower Roncesvalles) are organizing one heck of a fabulous evening tomorrow night, November 27 7-11pm! Come out and do a little shopping to support these super awesome businesses that need us desperately during the craziest construction ever! I've been invited by Rachelle from Hawk Eyes to join the group. I'll be selling little bouquets of love at her shop and I hope you'll come out and celebrate this important event with us. So if they're LoRo, does that make us QueWe (Queen West)? Just doesn't have the same panache does it? 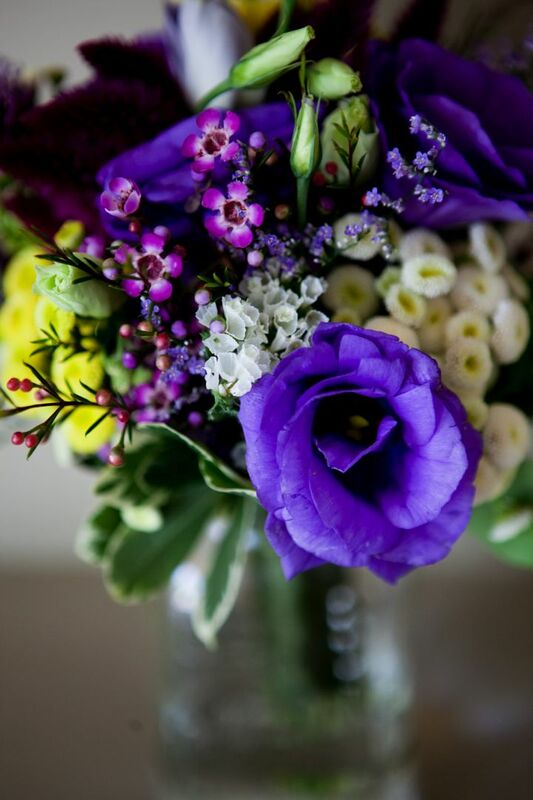 The dearest folks in the world, Jenny and Lee, got married this past summer and the incredible wedding photographers, Joseph+Jaime just sent over the amazing pictures of the flowers we did for them. Holla! Keep your eyes out for the next issue of Weddingbells as the word on the street is that this wedding will be featured. Way to go guys! Some much needed rest and relaxation was just what the doctor ordered, no literally the doctor ordered antibiotics and all. A little me time, a little Tyler time and of course a little doodle bunny time. But for tomorrow, it's back to the city for business as usual and to source product for the shop at one of my favourite events, the One of a Kind Show! I can't wait to report back with what I find! Is Harry not the dearest doodle ever? Next post I'll also have some wedding updates, I tried on dresses today! I just got a belated birthday card from a dear friend of mine who stated rather frankly that she's bad at birthdays and then wrote a list of other things she seems to procrastinate about often. I then replied, "well here's what I'm terrible at!" How liberating though to admit the things I'm just not very good at!? Here's to our imperfections! 'Our flaws are what make us unique', says my friend Brittany who just popped in with a zucchini loaf! Apparently, I'm worthy of baked goods so I must be doing something right, although my social life has suffered greatly from the business. I'm just moving through life trying to do my best and I think it's okay if the occasional ball gets dropped. In some areas I think i'd score 100% so I shouldn't be so hard on myself and neither should you. Harry only worries about the essentials, food and water and getting lots and lots of rest. I'm going to try that this weekend while I'm home in Belleville. Tyler and I are going to do as the rabbits do! We're thrilled to add to our collection these one of a kind hand made beauties. Delicate, hand pressed flowers on delicious card stock by the lovely and talented Carol Rossel. Carol's floral wonders offer something completely unique for that special person in your life or frame one for yourself and hang it on the wall for less than the price of something you'd get from Hallmark. So, I've had this idea on the brain for months, it's nothing revolutionary but it will be unique because there is no other me, as far as I know. Clearly my production team is lacking because, well, you're lookin' at her. These are my first webisode baby steps, they're supposed to be rough, and terribly basic, but that just means they can only get better from here! The point is I'm finally doing it and I encourage all of you to tackle that project you've been kept awake over. Anything is possible! So that's that! Stay tuned! Wedding flowers! One of my favourites this season. And who can resist a little doodle bunny! My petit lapin! How is everyone doing? Do you know what you're going to be for Halloween? My rule has always been it's got to be scary. So you can be Elvis but zombie Elvis. You can be a fairy but a dead fairy is so much better. It's a good rule. Oh, you're going as Lady Gaga you say? (insert the rule here) You get the idea? And why not finish this post off with a little halloween inspiration, it's only the greatest video ever made!! I love my community here in Parkdale. I think I've lived here almost five years but just celebrated my 1 year shop anniversary. The other shop owners and I have really bonded. My dear neighbour to the right just popped over and presented me with a glass of red wine. Now, I don't know about you but this is something that can really make my Friday. A baked brie might send me over the edge. My oldest and dearest friend Bitty surprised me with her homemade carrot soup the other day and it wasn't too long ago that dear Rachelle from Hawk Eyes dropped off the most fabulous flour-less chocolate cake from Terroni, I think I mentioned this but honestly, I still get chills when I think about that dessert. You have to go there and then go to Hawk Eyes and choose from a myriad of treasures Rachelle has carefully chosen to showcase in her beautiful shop. Apparently a new flower shop has opened up on Roncesvalles not too far from me. You might expect me to worry a little but honestly, I wish them very well. There is enough to go around and I want them to succeed. We florists don't need to fight amongst each other it's the grocery stores we should be worrying about. So, come to Parkdale, shop til' you drop! Especially on Ronce as it's suffering tremendously from all the construction. Buy local, resist the temptation to buy from the big box as it's a real detriment to the mom and pop shops you find so charming! I'm beginning to think it might never slow down. This is an amazing thing and I know how fortunate I am to be busy. And although I'm tired, I'm still loving every single second of it. I auditioned for the Marilyn Denis show yesterday. I stood in line with 950 other hopefuls just praying to get in front of the camera and keep my wits about me. I was surely wind blown and stiff from the cold but when I got to the tent I was greeted with such warmth from the ladies auditioning me that I was able to gather my troops and give it my best, well as best as can be wind blown and blue lipped. Perhaps they'll see that spark in me and want me as a guest to talk all things floral. It feels right. I've come to this place in life where everything seems to be aligning just so. 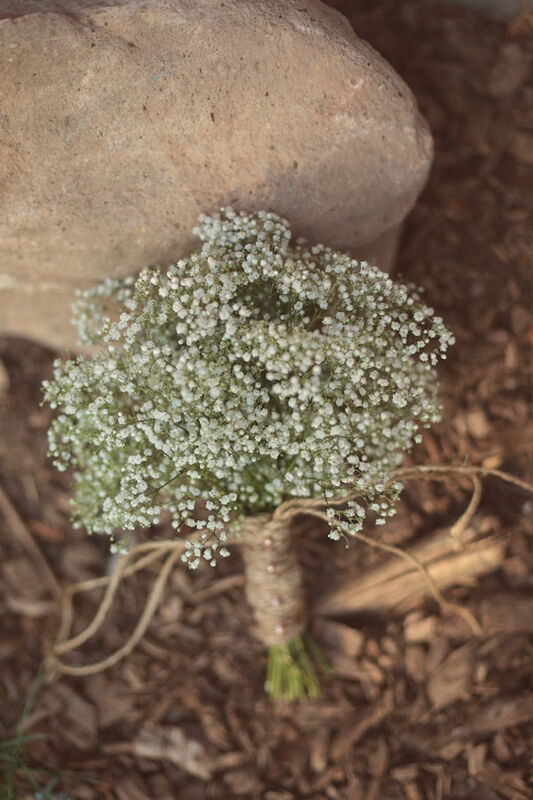 I've been preparing for this for many years as an actress turned flower girl, it's kind of perfect. Coriander Girl crushes Frankie Flowers! Just kidding, we love that man. Thanksgiving this year was so special. We were able to spend it with our families. First I enjoyed a traditional turkey dinner with the Coriander dad, my brother and rest of the fam at my Aunt Debbie's and the next night my mom and pop invited us along with Tyler's parents for a fondue extravaganza. Goodness I have a lot to be thankful for. I'm thankful for the abundance of love in my life, the success of Coriander Girl, my health and the health of those I care so much about and the lovely blessings that have been bestowed upon me this last year. Our engagement and buying our first home are definite highlights!! I'm thankful for all of you out there in the blog world. It's such a thrill to be a part of this lovely community.